Dear Readers, Reasoning Section play a vital role in Banking and all other competitive exams. This year 2018 was started with three wonderful opportunities; Most Awaited SBI Clerk 2018. To enrich your preparation here we have providing new series of Practice Questions on Reasoning Ability – Directions & Alphabet Series. Candidates those who are going to appear in Bank Exams 2018 can practice these questions daily and make your preparation effective. 1. Karthik walks 20m North. Then he turns right and walks 30m. Then he turns right again and walks 35m.Then he turns left and walks 15m.Then he again turns left and walks 15m. 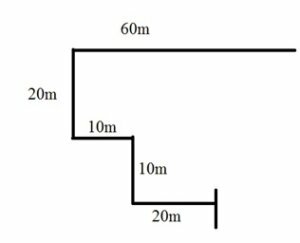 In which direction and how many metres is he from his original positions? Akila is facing south. She turn right and walk 20m.Then She turn right again and walk 10m. Then She turn left and walk 10m and then turning right and walk 20m. Then she turn right again and walk 60m. She is in which direction from her starting point? Nikitha walks 10 km towards the south.Turning to the left, She walks 20 km and then moves to her right.After moving a distance of 20 km,she turns to the right and walks 20 km . 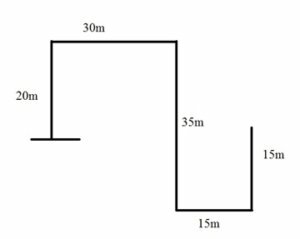 Finally she turns to the right and moves a distance of 10 km .How farand in Which direction is she from the starting point? If the First and second letters in the word ‘SOLITARY’ were interchanged, also the third and the fourth letters , the fifth and Sixth letters and so on. Which letter would be the seventh letter counting from right? How many suchpairs of letters are there in the Word ‘TRUTH’ each of Which is as far away from the word as When they are arranged in alphabetical order? If the second alphabet in each of the word is changed to the previous alphabet in English alphabetical order, how many words thus formed have more than one vowel? If in each of the words, all the alphabets are arranged in English alphabetical order within the word, how many words will begin with a vowel? How many letters are there in the English alphabetical series between the third letter of the second word from the left and second letter of the second word from the right? If the given words are arranged in the order as they would appear in the English dictionary from left to right, which of the following will be the fourth word from the left? If in each of the given words, each of the consonants is changed to the previous letter and each vowel is changed to the next letter in English alphabetical series, in how many words thus formed will there be no vowel? Answer e) More than Four. 1) Karthik walks 20m North. Then he turns right and walks 30m. Then he turns right again and walks 35m.Then he turns left and walks 15m.Then he again turns left and walks 15m. 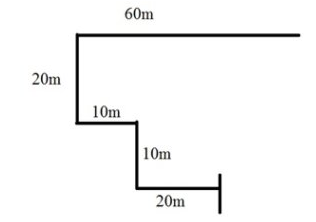 In which direction and how many metres is he from his original positions? 2) Akila is facingsouth. She turn right and walk 20m. Then She turn right again and walk 10m. Then She turn left and walk 10m and then turning right and walk 20m. Then she turn right again and walk 60m. She is in which direction from her starting point? 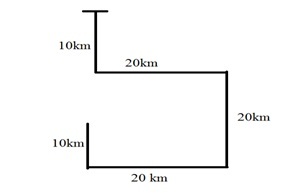 3) Nikitha walks 10 km towards the south.Turning to the left, She walks 20 km and then moves to her right.After moving a distance of 20 km,she turns to the right and walks 20 km . 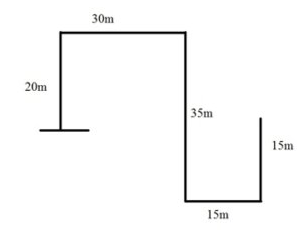 Finally she turns to the right and moves a distance of 10 km .How farand in Which direction is she from the starting point? 4) If the First and second letters in the word ‘SOLITARY’ were interchanged, also the third and the fourth letters , the fifth and Sixth letters and so on. Which letter would be the seventh letter counting from right? 5) How many suchpairs of letters are there in the Word ‘TRUTH’ each of Which is as far away from the word as When they are arranged in alphabetical order? 6). If the second alphabet in each of the word is changed to the previous alphabet in English alphabetical order, how many words thus formed have more than one vowel? 7) If in each of the words, all the alphabets are arranged in English alphabetical order within the word, how many words will begin with a vowel? 8) How many letters are there in the English alphabetical series between the third letter of the second word from the left and second letter of the second word from the right? 9) If the given words are arranged in the order as they would appear in the English dictionary from left to right, which of the following will be the fourth word from the left? 10) If in each of the given words, each of the consonants is changed to the previous letter and each vowel is changed to the next letter in English alphabetical series, in how many words thus formed will there be no vowel? 10). Answer e) More than Four.